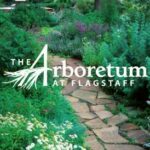 This is The Arboretum’s favorite family event for the year featuring costumes, hayrides, and great food! Walk through the Arboretum fall gardens on trails lit by glowing Jack-o-Lanterns. Celebrate the fall season with hayrides, a hay maze, pumpkin patch, hot cider, pony rides, spooky stories and performances by a campfire.